Pastor arrested for allegedly killing and burying two children inside his Church for rituals in Ogun State. 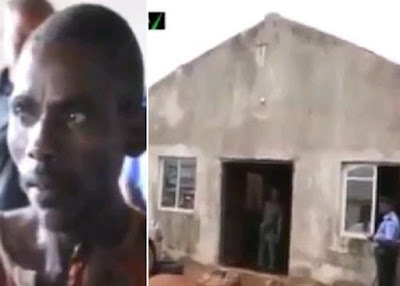 The Ogun State Police Command has arrested a Pastor who was paraded in his church premises, for reportedly killing and burying two children inside his Church for rituals in Ogun State. The State’s Police Commissioner, Ahmed Iliyasu, said the exhumed human parts will be taken in forensic investigation. The Pastor who confessed to the crime, said that the kids (male and female) aged 10 and 12 were killed for 50K each.